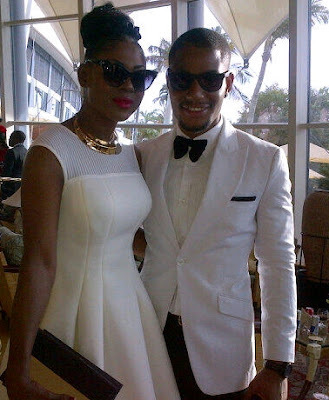 Award winning Nigerian actress Susan Peters was spotted with actor Alex Ekubo in a beautiful couple outfit at 2Face Idibia & Annie Macaulay’ wedding in Dubai. Apparently the two of them didn’t plan to wear white but they sure look good in those lovely outfits. 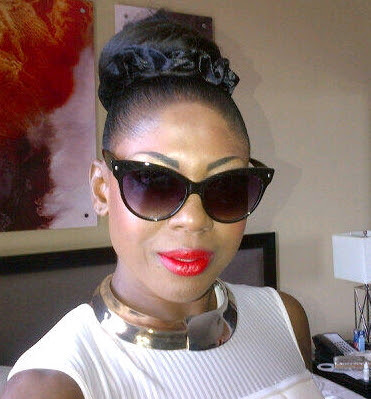 Susan Peters has been rated the best dressed Nollywood star at the recently concluded celebrity wedding in Dubai. 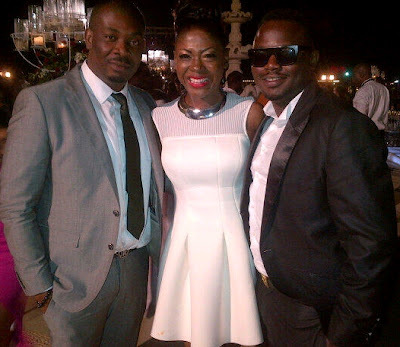 Susan Peters with Dr Sid and Don Jazzy. She is a beautiful woman… See the way she rocks that outfit in light make-up. The Benue-born star actress is a remarkable and an incredible talent in the movie industry! Her career dedication is unmistakable. If white is part of the dress code she is free to wear it moreover this is modern time, nobody pays attention like they used to. It is called change. She looked beautiful and cleAn.